This was my first slipcast piece, and the pre-cursor to "Butterflies: Oil & Vinegar." 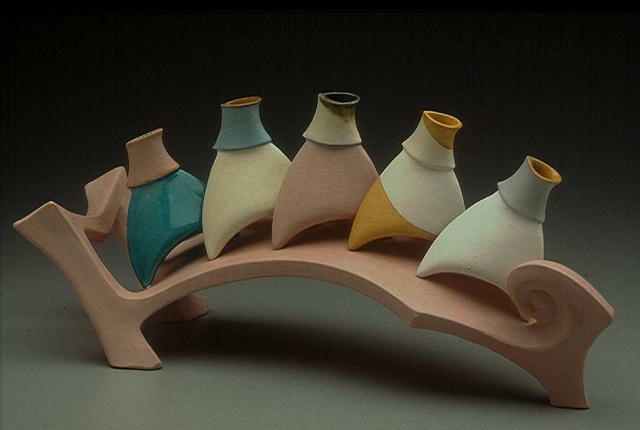 It was in my Master's show & won the best-of-show award for the Texas Clay Artists Association show in 2000 called Attachments 2000. 6" x 5" x 13"